There’s probably no other time when you need a reliable bra most than when expecting and caring for a baby. Just like mastectomy bras, nursing bra is a functional variety of usual underwear that is the second most important female evolution development. During this time a woman’s body goes through so many transformations, that a well-chosen pregnancy bra or breastfeeding bra will literary make your life so much easier. It has to be both unnoticeable in terms of comfort yet almighty in terms of support. Why simply increasing the size of your regular brassiere model won’t work? Natural, breathable and safe materials (cotton). Choose your pregnancy bra just like you’d be choosing a babysitter for your infant! 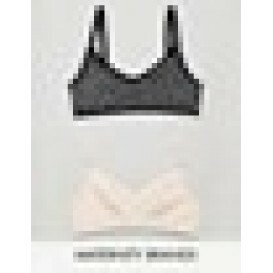 Best nursing bras in terms of health are of natural colors and minimum artificial dyes to eliminate possible allergies. Where is the best place to shop for nursing bras? Unfortunately it’s hard to find one single store that would have a large enough collection of maternity bras, even in specialized maternity sections or department stores. The task becomes especially complicated if you are shopping for something particular, such as Bravado nursing bra. For your convenience we’ve brought together the most popular models and brands here, so you can quickly review and compare them in one place!